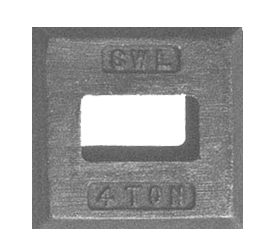 The Lock-N-Lift Model 500B weld-in plate contains the female connector for all Lock-N-Lift tools. The plate easily welds into items that are being lifted and/or lowered. When properly installed, the weld-in plate sits flush to the surface of the item it is welded into, eliminating any trip hazard. The plate contains no threads, and requires no routine maintenance. 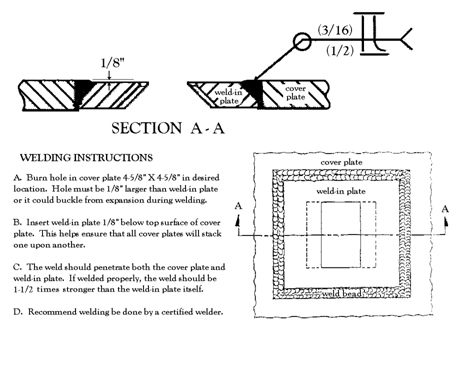 To download a copy of the welding instructions, click here.